Ever felt like someone was following you? The duo travel around the world, documenting their adventures in idyllic snaps on Instagram. Thanks to their beautiful photos, they've built up a following of a combined 2.1 million devoted fans. And one of those fans is particularly devoted. 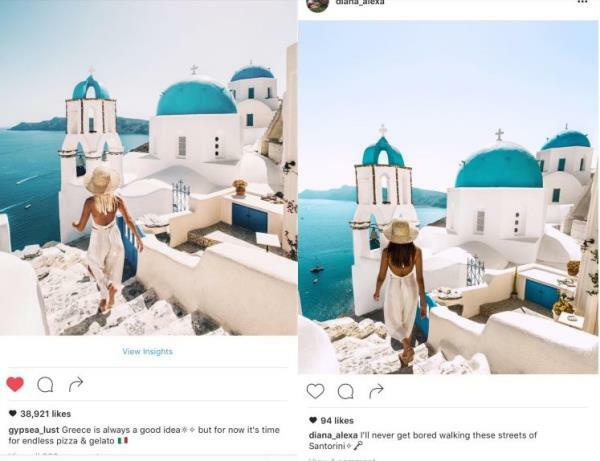 In fact, she seems to be following them around the globe, copycating Lauren's photos. 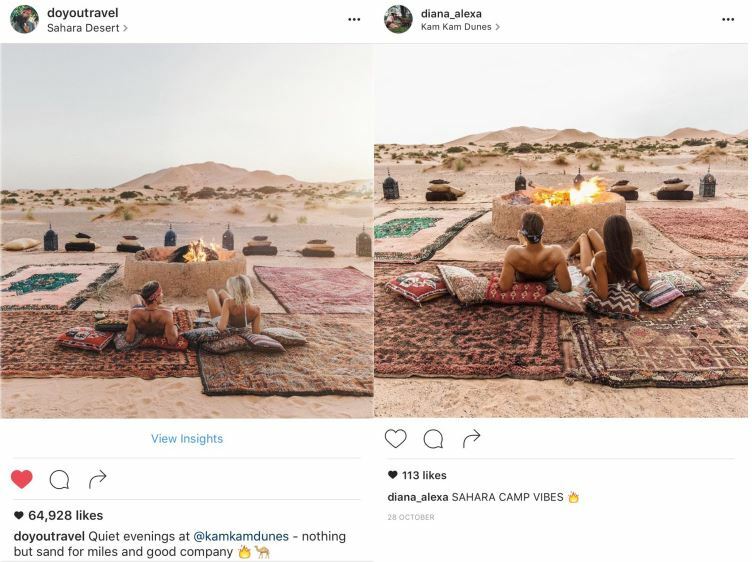 The couple received a flood of direct messages on Instagram notifying them that a woman with the username @diana_alexa was recreating Lauren's posts -- right down to the clothes she's wearing in each shot. 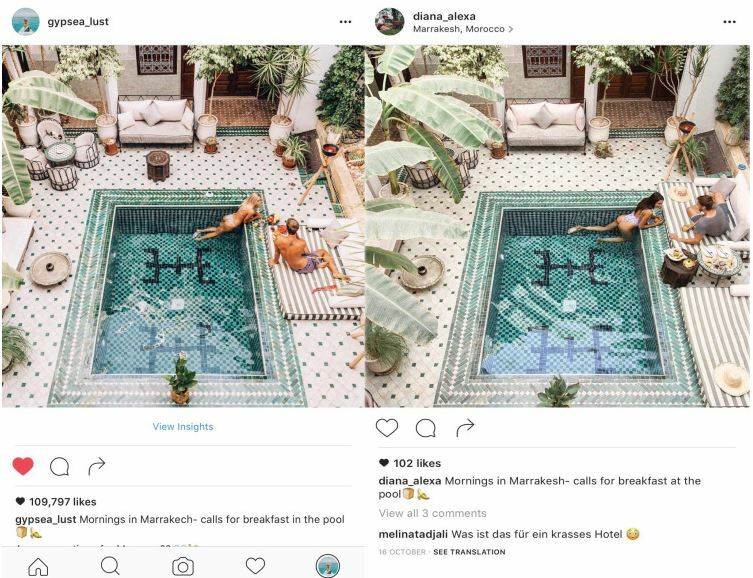 Lauren told Cosmopolitan she was freaked out at how Diana found the exact same locations and even went to the lengths of wearing similar outfits, if not the exact same. 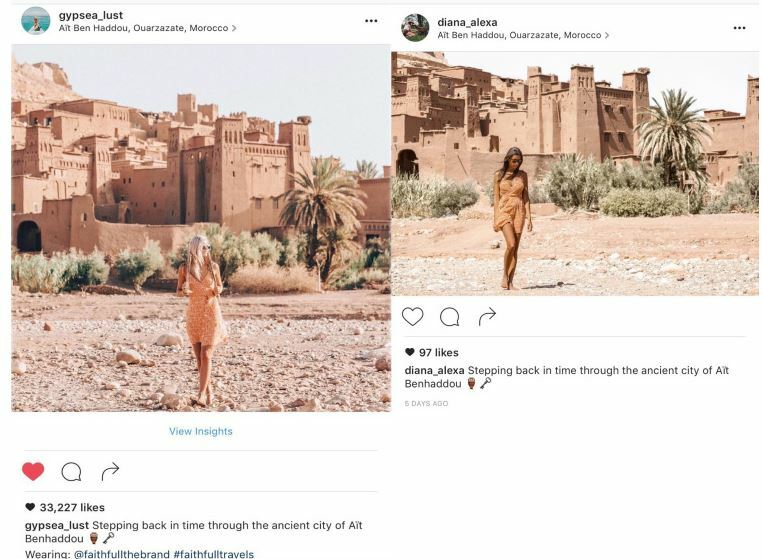 "When a girl travels across the world recreating your exact imagery over and over again you begin to worry," she said. “I don’t promote and tag everything I wear, so that would have taken a lot of time and work, even down to the anklets and necklace,” she remarked. 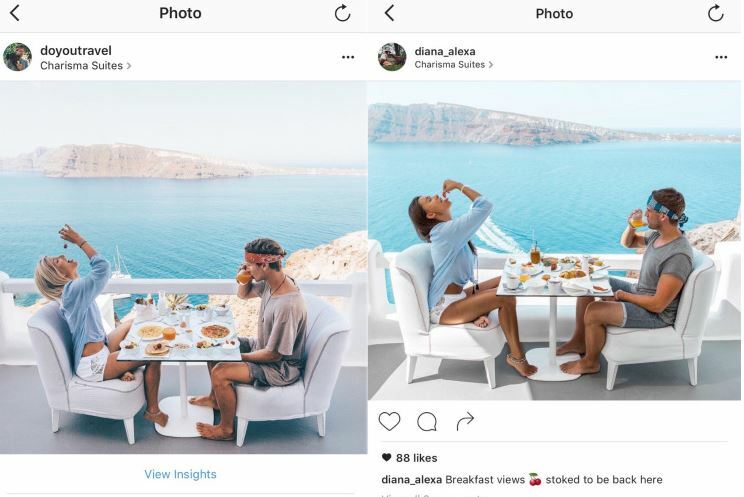 In Diana’s pictures she also has a man dressed similarly to Lauren’s boyfriend Jack. The Australian blogger claims to have messaged Diana to get to the bottom of the situation. Since Lauren brought the situation to people’s attention, Diana has made her account private and wiped out all traces of the images. Some have accused the blogger of orchestrating the copycat account herself, MailOnline reports, to get more publicity. "I've heard the speculations and honestly it's so disappointing when you share an experience and it goes viral without you ever wanting that," Lauren told the outlet, adding: "and then it gets turned around and put back in your face."